St Patrick’s Day is one of the most infamous holidays to spend in a major city. and there are many ways to celebrate in Washington DC. Choose from a large variety of Irish themed pubs, restaurants and entertainment to spend the day with, as long as you’re wearing green! The people of DC love a parade and St Patrick’s Day presents the opportunity for more than a few of these. 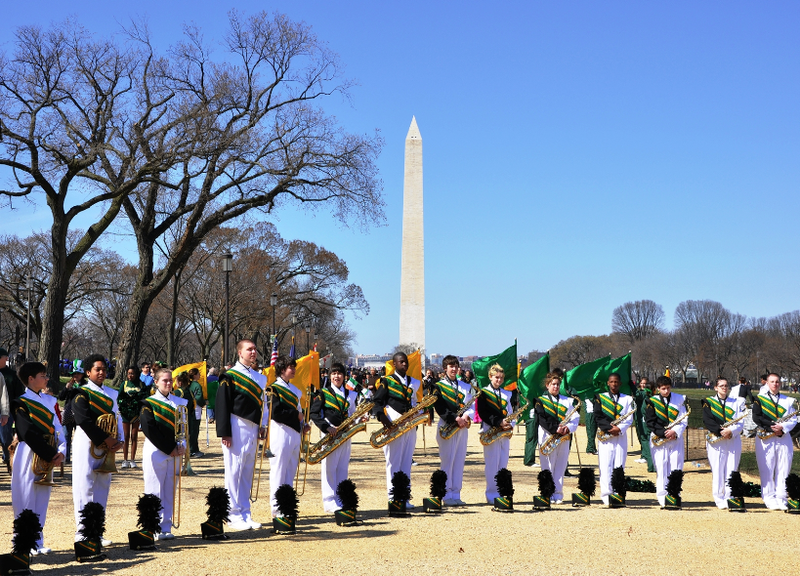 The largest of these parades takes place on March 13th on Constitution Avenue, beginning at 12:00 noon. They have music, dancing and shows from local clubs with after parties at most of the Irish pubs in the area. If you want to take in as many themed pubs as possible then get involved with the DC Shamrock Crawl. This tour takes patrons through Arlington and shows them some of the best pubs in the area. Visitors can pull their own pints, party into the wee hours and check out the history of these family owned pubs. This is a great way to spend the weekend and experience some of the nightlife of the city. For a street festival filled with live music and excellent food, the National Shamrock Fest is the best place to be. It takes place on the 12th of March and boasts 30 artists and 5 DJs from 3pm to 11pm. One of the largest bands to play there this year is Flogging Molly and they’ll be lighting up the stage for hours. This is the biggest festival in all of America for the occasion and patrons won’t be disappointed by how much is on offer. It really represents the spirit of the day and you’ll even get to hear some authentic folk songs brought up to date by these bands. If you’re keen on the history of the constitution, then the National Archives are the best place to learn. This is where the constitution is kept and few people know that some of the founding fathers were of Irish decent. Four of these men came from the Emerald Isle; James McHenry, Pierce Butler, Thomas Fitzsimons and William Paterson. This is a good way to tie in a love of history with an Irish twist at any time of year. There are many Irish pubs that serve their own take on national dishes, which go perfectly with a pint of Guinness. There are hearty stews, delicious soups and steak pie to go with a pint and some craic. If you’re planning a tour of the city then our hop on, hop off tour is the ideal way to get around the city on one of the busiest days. To go with the excellent food and drink, these pubs also have themed pub trivia on special days. Brush up on your Irish history and famous faces before you go and you could even win some free drinks.